Emma Parkerson is an associate in networked improvement science, building the capability of network leaders to design, launch, and sustain collective efforts to improve persistent challenges in the education sector. Emma joined the Foundation in 2017 after a decade working alongside Board-certified teachers at the National Board for Professional Teaching Standards. 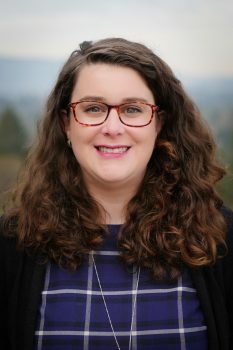 Emma believes deeply in the wisdom of crowds and has a passion for convening teachers, leaders, policy makers, and researchers for collective action. Emma’s networked improvement journey began in 2013 with a four-month residency at Carnegie to launch the National Board’s Network to Transform Teaching (NT3). She directed NT3 for four years, bringing together over 50 districts seeking to build coherence across teachers’ careers by strengthening the structures, policies, and programs that support teachers’ development toward expert practice. Prior to NT3, Emma led multiple design efforts to create professional learning tools by teachers, for teachers. Emma earned a bachelor’s degree in psychology and anthropology from The George Washington University. She has also completed her professional certification in project management (PMP) and is an alumna of the Institute for Educational Leadership’s Educational Policy Fellowship Program. A native of Jupiter, Florida, Emma attended public schools in South Florida. She still loves to spend time by the water, including SCUBA diving any time she gets the chance.